The application contains the desired functionality, and the infrastructure software handles basic functions. Usually the infrastructure software includes the operating system and software components for communication and underlying I/O and memory services. From Vector you get standardized software components for the infrastructure software. These components make it easy to port and reliably integrate ECUs from different suppliers into a network. Special communication modules are responsible for exchanging information between ECUs via a bus system such as CAN, LIN, FlexRay or Ethernet. The communication modules from Vector are standard software components that are based on generic code. They are available in numerous OEM-specific variants and are available for a lot of different hardware platforms. The ECU developer configures them individually to obtain a solution customized to his specific application. MICROSAR is the embedded software for your AUTOSAR ECUs. It consists of the runtime environment MICROSAR RTE and MICROSAR basic software modules (BSW). They cover the entire AUTOSAR standard and contain a lot of useful extensions. The uniform and intuitive user interface of DaVinci Configurator Pro is used to configure the MICROSAR modules. This tool includes helpful features like automatic derivation of parameters and extensive validation functions. 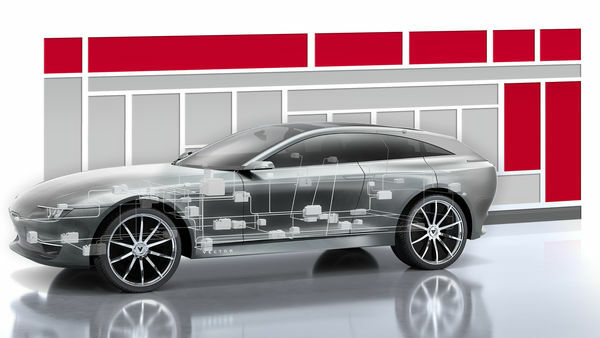 Vector CANbedded basic software lets ECUs exchange information over the CAN bus. As a part of the ECU software, it handles communication-related tasks as specified by the OEM. With CANbedded, your ECU is able to efficiently communicate with other ECUs in the vehicle and with an external service tester. CANbedded is available in variants for most OEMs and for a large number of microcontrollers. The CANbedded J1939 package contains software components for SAE J1939-based applications. These components provide functions for basic communication between ECUs, as they are needed in heavy-duty vehicles. CANbedded J1939 is based on software components of the CANbedded product line; for details please refer to the CANbedded datasheet. Vector CANbedded J1939 software components are available as source code. CANbedded LIN Communication is a LIN communication stack and consists of standardized software components. They support the LIN specifications 1.3, 2.0, 2.1/2.2(A) and ISO 17987:2016 as well as SAE J2602 and multi-channel LIN configurations. The components are optimized for code size and execution time to reduce their resource requirements. Over 40 combinations of hardware and compilers are supported, and upon request additional combinations will be available. You can obtain the Flash Bootloader in many OEM-specific variants and for many different microcontrollers. To meet your project requirements you can configure it with the PC-based configuration tool GENy and DaVinci Configurator Pro respectively. The Flash Bootloader may be used in either conventional or AUTOSAR conformant ECUs. You can also update ECUs with POSIX-compatible operating systems such as Linux in a time-saving and efficient way. Vector offers numerous seminars and workshops dealing with Vector software tools, Vector standard software components, AUTOSAR and current bus technologies and protocols. Our training team consists of numerous experienced engineers who are pleased to impart their extensive knowledge and experience to others.